The Camera Plate for Nikon D7500 from Kirk Enterprises is designed with a 90° anti-twist lip, which keeps the camera body from twisting while mounted on an Arca-type ball head or clamp. Moreover, once the dovetail plate is attached to the camera, the Nikon D7500 gains a quick release functionality. The 6061-T6 aluminum plate maintains complete access to the battery door, and does not obstruct the tilting LCD monitor of the camera. 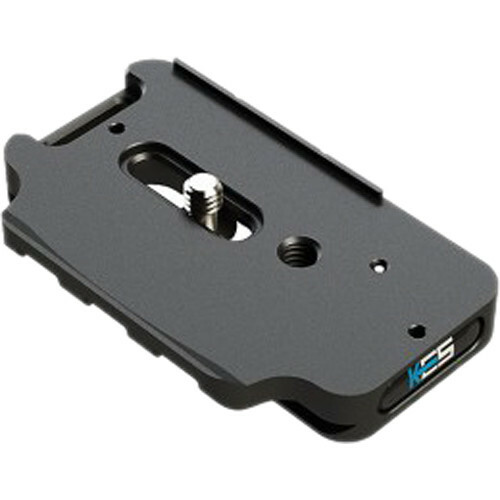 Also, the plate has been black anodized, which makes it resistant to scuffs and scratches, and a slot has been machined into the side of the plate for an accessory hand or shoulder strap. Plus, the rear of the plate has been scored with a sensor centering lines for alignment of the camera. Box Dimensions (LxWxH) 4.1 x 2.7 x 0.7"
What is the best effective tripod for NIKON D7500?